Floral designers we'd love to work with you! We specialize in growing field grown fragrant garden roses and ornamental cut branches. We also seasonally grow tulips, narcissus, ranunculus and dahlia cut flowers. Our cut flowers are available exclusively to professional floral designers. We service the greater Northern California area of Sacramento, Davis, Roseville & Chico. We also are available for special delivery orders for points South, East & West including the areas of Napa, Sonoma, San Francisco & Lake Tahoe. We also ship our garden roses overnight to floral studios across the country. We are currently CLOSED for the season but will reopen in the Spring of 2019 with a limited number of tulips. Please complete the form below to register your studio and receive our availability lists, answers to frequently asked questions, pricing & shipping information. We are also taking requests for flowers for 2019 & 2020 workshops and styled shoots. 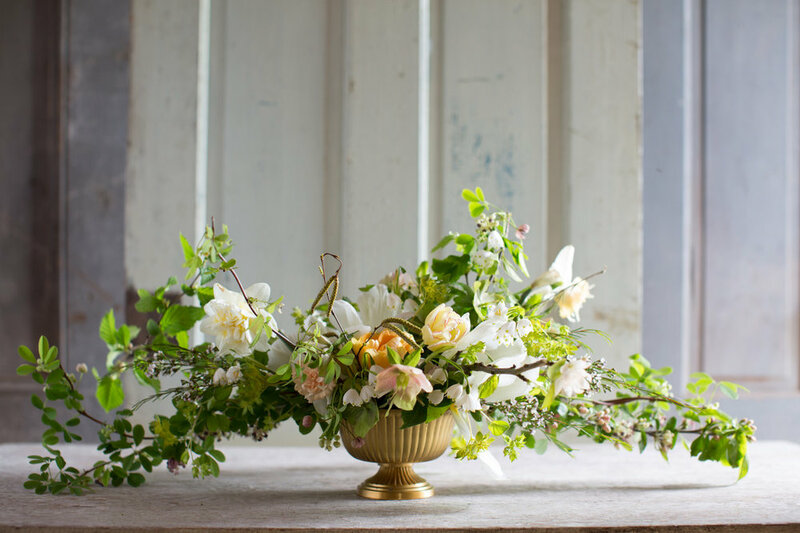 If you are interested in using our flowers for a styled shoot or floral workshop please click here. Thank you! We will be in contact to set-up your account with us soon.